Amin Kazemi, D.M.D., M.D. grew up in Long Island, New York. He completed his Undergraduate studies at New York University in 1992. From 1992 to 1996, Dr. Kazemi attended the University of Pennsylvania School of Dental Medicine, obtaining his D.M.D. degree on the Dean’s Scholarship. During this time, he was the president of the Dorrance Society of Oral and Maxillofacial Surgery and the Vice President of his class. Dr. Kazemi completed his Oral and Maxillofacial Surgery residency at the University of Pennsylvania. As part of his combined six year residency, Dr. Kazemi obtained his M.D. degree from the University of Pennsylvania School of Medicine in 1999. Furthermore, during his residency he completed the equivalent of two years of General Surgery at the Hospital of the University of Pennsylvania. Dr. Kazemi is Board Certified by the American Board of Oral and Maxillofacial Surgery and a fellow of American Society of Dental Anesthesia. He is well published and has contributed a chapter (pre-operative evaluation) to Dr. Raymond Fonseca’s Textbook of Oral and Maxillofacial Surgery. He is also a member of the American Dental Association, American Medical Association, and the Academy of Osseointegeration. Dr. Kazemi’s primary goal as a professional is to provide his patient’s with the optimum in the cutting edge surgical care in the most compassionate manner. He strives to keep up to date by attending numerous continuing education seminars. He is also an active participant with the Community Volunteers in Medicine located in West Chester. Dr. Kazemi resides in West Chester with his wife Maureen and their two children. Among his other interests, soccer and philosophy hold a dear place. 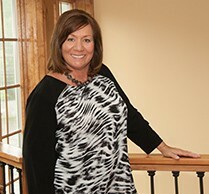 Cynthia Trentacosti, D.D.S., M.S., has been in private practice in Chester County, Pennsylvania since 1994. Dr. Trentacosti grew up in Long Island, NY. She earned her undergraduate degree at Ursinus College and her dental degree at the Medical College of Virginia. She received her training in Oral and Maxillofacial surgery at The Ohio State University in Columbus, Ohio at which time she also received a Masters in Science. Dr. Trentacosti earned her board certification in Oral and Maxillofacial surgery in 1996 and re-certifies with this board every ten years. She is also boarded by the National Board of Dental Anesthesia. Dr. Trentacosti has served as president of both the Delaware Valley Society of Oral and Maxillofacial Surgeons and the Pennsylvania Society of Oral and Maxillofacial Surgeons. Dr. Trentacosti’s special interest in Oral and Maxillofacial Surgery includes adult and pediatric anesthesia. Due to this interest, she has been an active participant in developing state wide guidelines for anesthesia services provided by Oral and Maxillofacial Surgeons in the state of Pennsylvania. She also acts on behalf of the state board of dentistry and the Pennsylvania Society of Oral and Maxillofacial Surgeons as an evaluator of Oral and Maxillofacial Surgeons and their offices, within the state of Pennsylvania, who provide IV sedation or general anesthesia to their patients. Dr. Trentacosti enjoys cooking, reading non-fiction and sailing. She resides in Kennett Square, Pennsylvania with her husband and their two children. James Gustainis, D.M.D. has provided Oral and Maxillofacial Surgical care to Chester County residents since 1982. He earned his undergraduate degree at Pennsylvania State University, dental degree at the University of Pittsburgh and received his certificate of specialized training in Oral and Maxillofacial surgery from the University of Connecticut School of Dental Medicine. Dr. Gustainis is a published researcher; having had his work on Mandibular Nerve Block Techniques published in the Journal of the American Dental Association. He is Board Certified by the American Board of Oral and Maxillofacial Surgeons as well as a member of the American Dental Association, American Dental Society of Anesthesiology, and the Academy of Osseointegration. 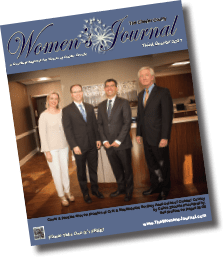 Dr. Gustainis has been repeatedly honored by Philadelphia magazine, Main Line Today and Suburban Life being named either “Top Dentist” or “Top Doc” in Oral and Maxillofacial Surgery. He has participated in over-seas dental services in Mexico, Costa Rica and Honduras. His contributions were recognized by the Chester County Commissioners when he was awarded a Certificate of Appreciation. Dr. Gustainis resides in West Chester with his wife Tina and daughter Hailey. Michael Walker, D.D.S., M.D. is a highly trained oral and maxillofacial surgeon who is compassionate and eager to provide outstanding care to his patients. He grew up in the western states of California and Idaho and graduated with Honors from Idaho State University in 2003. He received his Doctor of Dental Surgery degree in 2007 from Creighton University in Omaha, Nebraska, again graduating with Honors and during this time, was also elected to the Omicron Kappa Upsilon dental honor society. He then returned to Idaho where he completed a dental residency, receiving a certificate for Advanced Education in General Dentistry. Dr. Walker trained in Oral and Maxillofacial Surgery at the University of Pennsylvania, completing a six year residency where he served as chief resident at both the Children’s Hospital of Philadelphia and the Hospital of the University of Pennsylvania. During this time, Dr. Walker also received a Doctor of Medicine (M.D.) degree from the University of Pennsylvania School of Medicine and a two year certificate in General Surgery from the Hospital of the University of Pennsylvania. Dr. Walker is Board Certified by the American Board of Oral and Maxillofacial Surgeons and is a member of the American Association of Oral and Maxillofacial Surgery, the American Dental Association, the American Medical Association and also participates in his local Oral Surgery and Dental associations. He has presented at both local and national conferences for maxillofacial surgery. He is trained in the full scope of oral and maxillofacial surgery, including dental implant placement, orthognathic surgery, wisdom tooth removal, treatment of sleep apnea, and in-office anesthesia services. Dr. Walker resides in Downingtown with his wife Deanna and their five children. In addition to being highly involved in his kids’ activities, Dr. Walker also enjoys biking, weightlifting, fishing, and playing the guitar. I would like to thank Debra Zeccola of Debra Zeccola Photography of Newark, DE for being our photographer for our photo shoots in New Castle, Chester, and Delaware County PA. Debra has over 25 years of experience as a licensed professional photographer. Debra provides her clients with outstanding photography services for weddings and events, family and individual portraits, baby photos and so much more. Debra was an absolute joy to work with, and I couldn’t have asked for a more professional and prompt photographer than Debra. For more information about Debra go to her web site: debrazeccolaphotography.com, or call her at 302-239-7193. The privilege of completing my 5th cover of The Women’s Journal Magazine as a makeup artist has given me a rewarding experience in editorial work. Going behind the scenes to create the look of a brand is one of the things that excites me the most about being a makeup artist. I have been specializing in makeup, waxing, and facial services at Amelia Paris Salon & Spa for two years. In the past year, I have created an online presence, going by the name ‘The Cosmo Chameleon’ on various social media platforms like Instagram, Youtube, and Facebook. Each serves as my creative outlet for teaching my craft. Catch one of my online tutorials or head into the salon and experience the luxury of an organic facial, arched brows, and a fresh new look here at Amelia Paris Salon & Spa. Our Chester County profiles were shot on location at the beautiful new offices of Oral & Maxillofacial Surgery Associates of Chester County, LTD, located at 721 Baltimore Pike, Kennett Square, PA, to schedule an appointment call 610-444-2128. On The Cover . . . I would also like to thank Christine D’Alonzo, Owner of Amelia Paris Salon & Spa at Britton Lake, and her wonderful team of stylists and makeup artists for providing some of our hair and makeup for our Chester County participants. Amelia Paris is located at 100 Evergreen Dr., Glen Mills, PA. To book an appointment or to just find out more about Amelia Paris call 610-558-4911, or visit them at www.amelia-paris.com. Debra Zeccola Photography provided all photography work for our shoot. Debra is a wonderful photographer to work with, very professional, and prompt in responding to my needs as the publisher of the paper. I highly recommend Debra for any photography need that you may have. For more information about Debra, contact her at, dzphotography@comcast.net, go to www.debrazeccolaphotography.com or call 302-239-7193/ 302-540-5800. I promise you will be glad you did. We were honored to have the Oral Surgery Group in our Chester County Shoot. I hope that you will let them know that you read their profiles in the Women’s Journal. Complete profiles on each of the participants are on Pages 36-38.